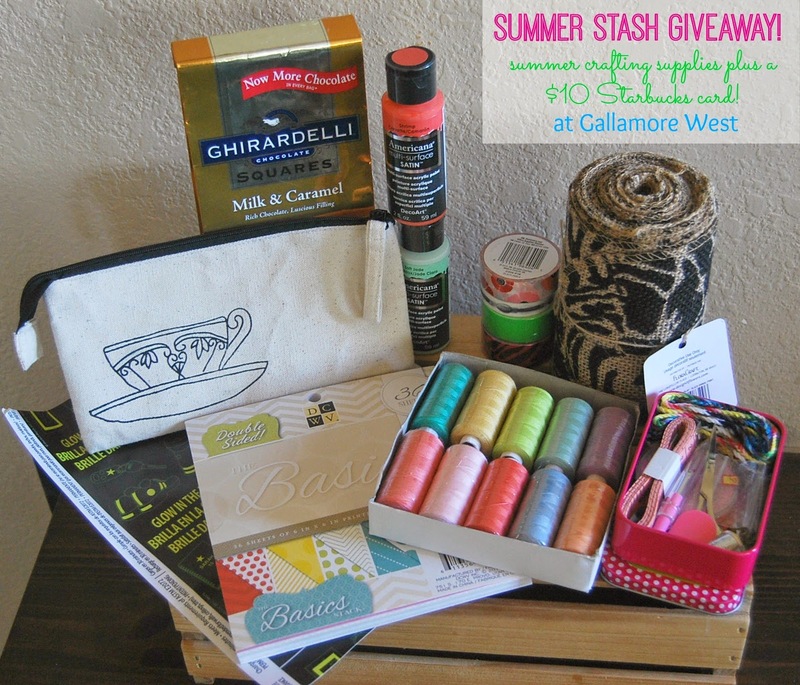 gallamore west: Summer Stash Giveaway! Are you ready for some amazing giveaways? 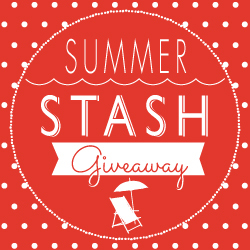 Summer is a great time for crafting - so I've gotten together with some of my friends to help you add to your stash with this giant Summer Stash Giveaway! This is so much fun. Nineteen of us have gathered some of our favorite crafting supplies together and we want to share with you! Each of this amazing gals will be sending out their very own group of supplies out to a lucky winner. That means 19 giveaways and 19 winners! Take a look at all the crafty goodness we have here! These are all amazing giveaways! Here's what I'm giving away- some super fun crafting supplies plus chocolates & a $10 Starbucks card! We've made it super easy for you to enter too - you can enter on just one blog to be entered for all the giveaways! a Rafflecopter giveaway Thanks for entering - and make sure you go check out all the other giveaways! Happy Summer Crafting! I love crafting anything outdoors with my little boy. He loves painting! I quilt all summer, usually small projects. Hoping to do some fun crafts with my kids during the summer. I love pretty much any and every type of crafting, year-round. Today our whole family created stepping stones for our gardens. It's so fun to watch them lay out the patterns before they press them into the stepping stones! At some point, this week, we will be creating our teacher's end of year gifts! Still brainstorming on what to make them!